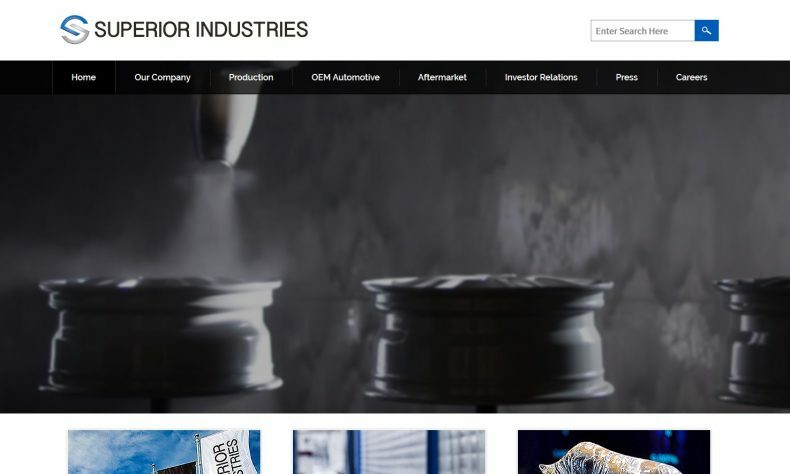 SOUTHFIELD — Superior Industries International Inc. (NYSE:SUP), an alumninum wheel supplier for automakers and the European aftermarket, reported a loss of $700,000 or 37 cents a share in the third quarter ended Sept. 30, vs. net income of $2.6 million or 22 cents a share a year earlier. Revenue was $347.6 million, up from $331.4 million a year earlier. For the nine months, the company posted net income of $17.8 million or 21 cents a share, vs. a loss of $1.6 million or 50 cents a share in the year-earlier period. Revenue was $1.12 billion, up from $746.3 million. Wheel shipments were down 5.5 percent to 4.7 million units. The company blamed reduced auto production in Europe, lower aftermarket volumes, and an additional week in the third quarter of 2017 in North America due to the company’s realignment of its fiscal periods to calendar quarters in 2017. Comparative results for year-to-date 2018 were also impacted by the inclusion of an additional five months of Superior’s European operations compared to year-to-date 2017 prior to the closing of the acquisition. For the nine months, wheel unit shipments were 15.8 million, up 36 percent from a year earlier, due to the additional five months of Superior’s European operations in 2018. The Company has reaffirmed its 2018 outlook for unit shipments of 20.85 million to 21.05 million, net sales of $1.48 billion to $1.51 billion, and adjusted earnings before interest, taxes, depreciation and amortization of $175 million to $180 million. To listen to a conference call discussing these results, visit www.supind.com.